The market square with its covered halle is the setting for a lively Sunday market with plenty of local produce. Don’t miss the Ferme Basqui stall selling Pork n Leek, Lincolnshire and Pork n Apple Sausages. In mid-July, it’s the lavender festival in Saint-Antonin-Noble-Val. 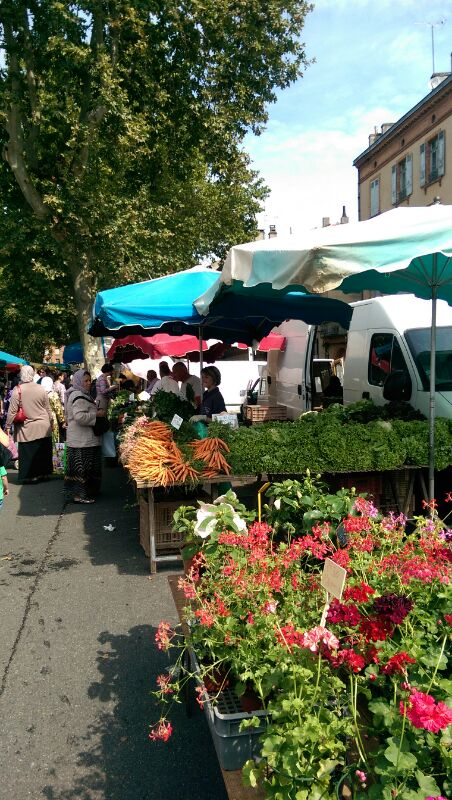 Every Monday the market offers a selection of good regional cuisine with all the vegetables and fruits of Quercy, confit and foie gras in the winter and of course, its famous wines of the Coteaux du Quercy and truffles. A selections of boutiques and shopping for all the family! NB: At all supermarkets, you will also find petrol at its cheapest, so fill up if necessary.